The original blog is posted on Google Blog. Click here to view the original article. After working for a multinational firm in Singapore, you returned home to start a business in India. Tell us about your motivations. I grew up in Siliguri, which is part of the Darjeeling district of West Bengal—where the world’s finest tea is grown. I love tea and I enjoyed savoring it from a young age. Being in Siliguri, I’m at the source of tea production, and I’ve been able to use the internet to bring fresher and better teas to people everywhere. My father was also a huge inspiration. Growing up, I saw him build multiple businesses from the ground up and he inspired me to become an entrepreneur. Udyan tea co-founder Parvez Gupta is passionate about sharing his Darjeeling tea culture with the rest of the country and the world. Why tea and why Udyan? My friend, Punit Poddar, and I started Udyan Tea in 2012. Punit is also deeply passionate about tea. He has been a tea taster for the past ten years and his family have been in the tea business for more than five decades. During our travels in India, we realized there was a severe lack of good quality tea in other parts of the country. As natives of Siliguri, we expect every cup of tea to be a great one. But we discovered that most good quality tea is exported to foreign markets. We worked together to address the gap in the domestic market — too many firms catered to demand for fine teas abroad, but not at home. So Udyan Tea was born. Udyan means “garden” and that’s what we aim to provide, the finest tea from the garden to your cup. 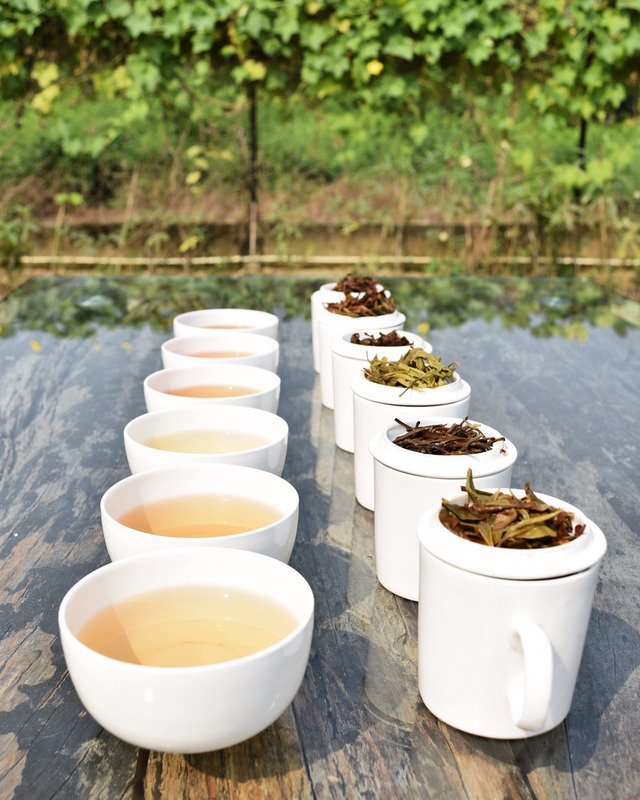 We select the best tea based on freshness, authenticity and quality. Udyan co-founder and tea taster Punit Poddar hails from a family that’s been in the tea business for more than 50 years. How do you find that Google helps your business? The internet has opened up an entire new base of consumers to businesses of every kind. Before the internet, you could only transact with local communities. Today, with e-commerce, the possibilities are limitless. We are primarily focused on the Indian market, and close to 80% of our revenue is driven from within the country. We depend entirely on the internet for selling our products, and we rely heavily on Google search to generate traffic to our business. AdWords has been indispensable for generating new leads for us. We also use Search, Analytics, and Google My Business. We’ve also used Translatetools to close deals with customers who do not speak English at all, which is quite amazing if you think about it. So far, we have shipped products to over 25 countries! Can you tell us about how your business has helped your community? We purchase teas from a number of small growers on an ongoing basis. This helps them fetch the best prices for their teas by eliminating middlemen and contributes to their sustainability. We also serve as consultants to other tea businesses and cafes, meaning we help other companies succeed in the tea business as well! “Udyan [उद्यान] means garden in Hindi, and that’s what we represent,” explains Parvez Gupta, “tea fresh from the gardens”. About the author: Parvez was among 18 Digital Champions from across the Asia Pacific who were invited to participate in the one-day workshop in August 2017 in Singapore. Parvez is the Co-Founder of Udyan Tea. The company is shipping to several markets outside India.